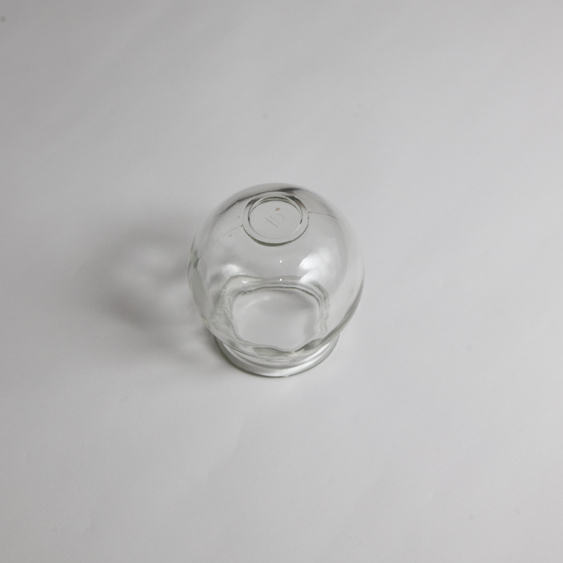 This glass cupping jar has a flat top and is the traditional Chinese Cup requiring heating prior to application. Used to open meridians and allow nutrient rich blood supply to sub-dermal tissues required for healing and relaxation. Cupping has been found to affect the body up to four inches into the tissues. This systemic reach can help tissues to release toxins, activate the lymphatic system, clear colon blockages and increase circulation to the skin and blood vessels. Cupping provides a unique way to massage tissue deeply. Cupping as a modality is very useful and very safe and can be easily learned and incorporated into your holistic health practice.